Sandbox MMO players had a whole month to dive in and explore the world of Albion Online in a recent closed alpha test. Based on extensive feedback from testers, developer Sandbox Interactive has released a Development Roadmap detailing new key features and content. 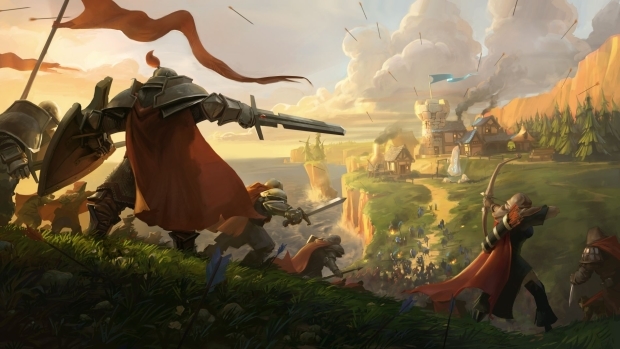 Over the next six months, Albion Online fans can look forward to over 170 additions and improvements. The world of Albion Online will soon be lush and alive with all sorts of plants and wildlife, which players can use to cultivate crops. The yield from these crops won’t only help players by providing buffs to their characters. It will also be required for crafting equipment: each building has its own dedicated NPC who can only put their best into their craft when they’ve had a good meal, provided by players! Another crucial component of agriculture in the game will be the rearing of livestock, including player mounts. During this recent alpha test, guilds who have no claimed territories for themselves could launch their assault on a rival from one of Albion Online’s castles. In order to make the progression into territory-based warfare even more dynamic, new neutral war camps will replace the castles. A guild must first fight their way to one of these war camps, located in dangerous PvP regions. Once the war camp is theirs, they can attack any neighboring territory at will. In the deep dark caverns beneath the world of Albion, dangerous monsters lurk, watching over the unimaginable treasures they have stockpiled over the years. Depending on their allegiance with several factions, players will be presented with special items and other rewards for defeating mobs. Additionally, player-mob interactions will be made more difficult, with more mobs in the world and diversified combat mechanics and mob variety. So that tactical combat and quick thinking are given precedence, mobs will now scale based on the number of players attacking them, making PvE combat a challenge, no matter how large the group of players. Ubisoft has just announced that Clancy’s The Division will launch on Xbox One, PlayStation®4 system, and PC on March 8, 2016.